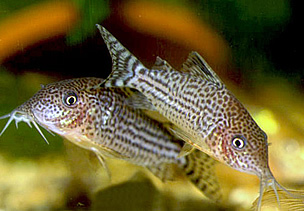 Here you will find the most detailed and comprehensive information complied on Corydoradinae Catfishes, including husbandry and detailed breeding accounts in the form of spawning logs. Every known species is detailed on its own dedicated page. There are a range of articles by other Corydoradinae breeders, as well as the latest scientific news and updates. A membership subscription will give you full access to all information on the website. There are several membership options, from 1, 3, 5 years and lifetime membership. Choose the option that suits you best. In the online shop you will find books dedicated to the identification and breeding of Corydoradinae. 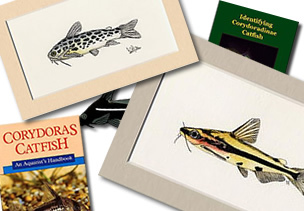 You can also find catfish artwork, catfish badges, a new range of specialist fish foods and Corydorasworld dedicated merchandise.